A Shaquille O'Neal personal appearance, Shaquille O'Neal speaking engagement, or Shaquille O'Neal endorsement will reflect well on your company. To hire Shaquille O'Neal now for any corporate appearance, fundraiser, motivational speaker event, personal appearance, autograph signing, or website endorsement please contact our celebrity agents at 1-877-6-SPORTS. We will contact Shaquille O'Neal or contact Shaquille O'Neal's agent and provide you with the booking fees and availability immediately upon your request. Direct Sportslink is the only sports speakers bureau and talent booking agency based in the United States securing only sports talent for corporations, associations, and organizations for motivational speaking engagements, personal appearances, and endorsements. We are the premier sports celebrity booking agency and a sports celebrity procurement expert. Accordingly, we will provide you with any relevant Shaquille O'Neal website information and booking agent details so that you can hire Shaquille O'Neal for your next event. Nicknamed "Shaq," he used his size and strength to overpower opponents for points and rebounds throughout his 19 year career. Following his career at Louisiana State University, O'Neal was drafted by the Orlando Magic with the first overall pick in the 1992 NBA Draft. He quickly became one of the top centers in the league, winning Rookie of the Year in 1992–93 and later leading his team to the 1995 NBA Finals. After four years with the Magic, O'Neal signed as a free agent with the Los Angeles Lakers. 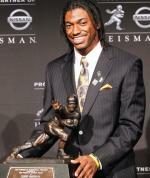 He won three consecutive championships in 2000, 2001, and 2002. O'Neal was traded to the Miami Heat in 2004, and his fourth NBA championship followed in 2006. Midway through the 2007–2008 season he was traded to the Phoenix Suns. After a season-and-a-half with the Suns, O'Neal was traded to the Cleveland Cavaliers in the 2009–10 season. O'Neal played for the Boston Celtics in the 2010–11 season before retiring. O'Neal's individual accolades include the 1999–2000 MVP award, the 1992–93 NBA Rookie of the Year award, 15 All-Star game selections, three All-Star Game MVP awards, three Finals MVP awards, two scoring titles, 14 All-NBA team selections, and three NBA All-Defensive Team selections. He is the third player to ever to win NBA MVP, All-Star game MVP and Finals MVP awards in the same year (2000). Shaq has also become a reserve police officer for the Los Angeles Port Police and the Miami Beach Police, as well as becoming a honorary U.S. Deputy Marshall. 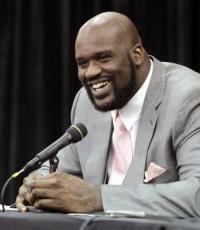 On July 14, 2011, Shaq announced he would join Turner Network Television (TNT) as a NBA analyst where he has worked with Chris Webber, Kenny Smith, and Charles Barkley among others. Based on your interest in Shaquille O'Neal as a speaker or for a personal appearance, Direct Sportslink has provided you additional links below for other sports talent with similar appearance fees, speaker topics, and categories that match Shaquille O'Neal.